This is a world building question in a preventative context because those people or countries would be left fully functional while others gone and the safe areas is where the world building would begin. What countries would be the least likely to get nuclear bombed or have fallout if a full nuclear exchanged occurred? With the new massive hypersonic UCBMs that can travel up Mach 20 would give you only minutes to get to a safe place. So it would be best to just live where it is safe. Which country has a good economy and be the least likely to be included in World War III directly or indirectly? Is there a anti-war map or a shaded map showing the safest areas on Earth? This country has a nuclear war plan that is followed out so there is already list targets in countries that are still going to get a nuking even if they are not directly involved. The Tzar Bomba has been decommissioned in the 60s, but that was 60 years ago and who knows if more powerful nukes has been made. https://nuclearsecrecy.com/nukemap/ This link is an online program uses google maps to calculate nuclear bomb blast radius and fall out and works fine on my browser. They say a picture is worth a thousand words, so I'll add three. 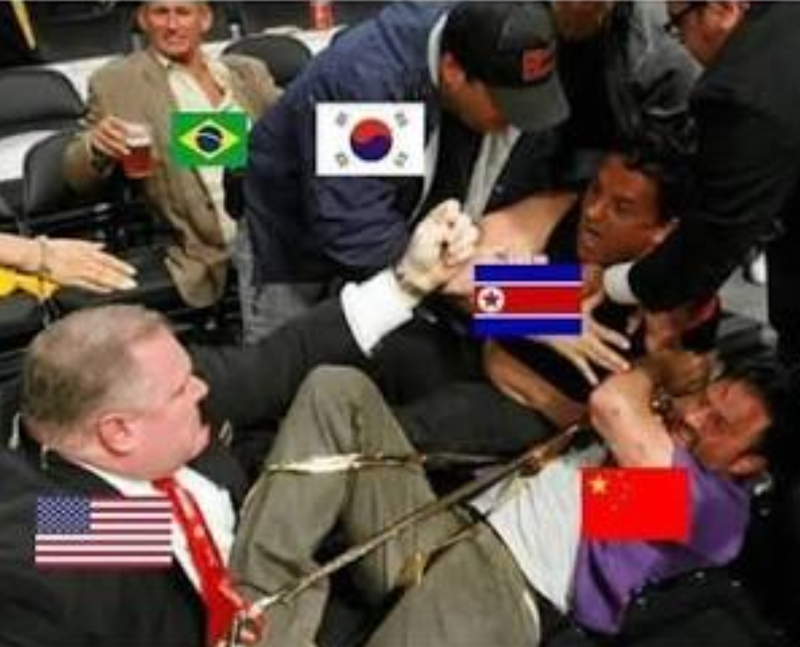 Brazil is a country that is neutral on every major conflict, with important ties to all sides. Being outside the range of the first wave of missiles, it will have the most land where you won't die of radiation poisoning in minutes, so that's where everyone will go for the final battle of sticks and stones as predicted by Einstein. New Zealand. Nowhere in the southern hemisphere is a likely target for nuclear weapons, but New Zealand is further south than any other countries except Chile and Argentina, has a stable economy and government, a temperate climate, and is self-sufficient in food. It’s also far enough from anywhere else that it’s unlikely to be swamped with refugees from further north. Europe, North America and Asia will get bombed into oblivion, or covered in thick nuclear fallout. Most countries in Africa are underdeveloped and would quickly collapse into chaos and anarchy, or a tighter dictatorship or military rule than what exist as of today. And they'll get some bombs lobbed at them by the virtue of having military bases from the nuclear power presents all over the continent. Most South American countries are already teetering on the brink of anarchy, not a good choice. Australia would probably get a few 'stray bombs' just by virtue of being allied with the US or Europe, in order to deny any surviving government a potential shelter there. Which means that New Zealand is likely to get nuclear fallout, if not a couple bombs as well, for the same reason than Australia would. Which leaves the less habitable parts of the world: Greenland, though winds and water current would probably carry some nuclear dust over it, Antarctica, but getting there is a journey in itself, and you cannot live here, or some island in the Pacific or Indian Ocean. But, basically, in a WWIII nuclear exchange, no country will be spared, whether it gets some nuclear missiles lobed at it or through the consequences of the bombing and the utter collapse of anything global, from the economy to the internet to the international shipping lanes. No country would be left fully functional following such a massive bombing. Everything would have to be rethought to take into account that supplies from the rest of the world are gone. Middle-East would become a nice shiny mirror, which means that fuel would become extremely scarce. Most rare earths and minerals would become unavailable because the mines will be in radiation zones or inaccessible for some reason. The factories in Asia that produces most of the technological stuff that we use everyday will be vaporized or glow in the dark, thus no more new stuff and no spare parts to fix the old stuff. And I'm not even talking about the panic that would instantly spread through the population of the world once the news spread that nukes have been launched or have began falling on various places over the world. Basically, even a country spared the nukes will need to have a strong and level-headed government, a calm population, and will have to basically invent a new way of life to cope with the instant disappearance of all the supplies it was getting from the rest of the world. On top of Raven Rock. As the quote of disputed origin says, "the living will envy the dead." More seriously, it is an interesting question exactly where the remaining Cold War arsenals are targeted today. And how big those arsenals are. The weapons can be classified as deployed, stockpiled, and retired. A deployed weapon is just that, on top of an ICBM or SLBM or waiting to be put onto an aircraft. A stockpiled weapon could only be launched if a delivery system was found, which could be difficult in the chaos after a nuclear strike. The nuclear powers would have to consider the possibility that key enemy targets are covered by workable missile defenses. To pull a number out of thin air, assume that a place like Offut or Kaliningrad is going to be targeted with half a dozen warheads in the hope that one gets through. If all get through that increases the local fallout, but perhaps not the death toll -- the second hit just rearranges the debris. Call it 3,600 warheads on 600 cities or bases. This might include the big metropolis of Thule or Petropavlovsk-Kamchatsky for all we know. With that in mind, the entire southern hemisphere might get away with just a handful of targets, and of course the fallout. This fallout will be bad but not on a scale to end mankind. As others have pointed out, countries are targets. The sea is not. So the best option would be to get yourself a large ship, a crew and enough supplies to sustain for a few years. As long as you stay away from land (and don't pose a threat to nuclear powers) you are relatively safe from direct hits and you can move away from nuclear clouds coming your way. The nuclear war probably doesn't last long, everyone will want to fire fast. Waiting risks your nuclear strike capability being taken out. Even nuclear submarines will want to take out enemies early, as leaving them risks giving the enemy time to fire on your own country. When the war is over, you need to evaluate your options. Luckily, you have that big ship to move around at sea. I'm staying at home, a few km from the Pacific coast of Vancouver Island - at one point in the 1960s, an American military study suggested that it could be a good place to be (although that could be just folklore). I figure that since the prevailing westerly winds carry the air across the expanse of the Pacific Ocean and keep our air quite clean (if they carry on after a nuclear incident like this), and Canada is a fairly stable government. The center of Africa, counterintuitive as that may be. You arrive at this through exclusion. You want to not be in anything that is a primary target. Any major city of any nuclear power is out, as is anything near a military base in those countries. The next charge of warheads will be targeted at allied countries and secondary military targets. Ports, power plants, major industrial or railway hubs, airports. That means that Europe is out completely (too many NATO members, two nuclear powers, and everything is close enough together that if nukes fall on all the primary targets, the areas inbetween will be down as collateral damage). It means east and west coast in the USA are history, as are the major cities in Russia and China. Australia and New Zealand are US allies and will certainly get a couple nukes. As will the middle east, to eliminate oil and because there are both US and Russian/Chinese allies there. Asia will be toast thanks to having no less than 5 nuclear powers (Russia, China, India, Pakistan, North Korea). South America and Africa are the continents most likely to get only a couple stray nukes. Of these, South America has the more challenging climate, the closer proximity to the USA and the higher dependency on outside connections. Africa has fewer industrial centers and is generally regarded as a backwater place not worthy of attention. However, the place is so friendly to humans that we evolved there, strongest evidence you can get. And the people of Africa are used to making do with whatever is there. Improvisation is a major talent that will be in high demand after a WW3 scenario. You want to be in the center because the major ports and cities that may or may not get a nuke just because are mostly at the coast. You also want to be away from waves of refugees which may come likewise arriving at the coast first. Somewhere in the mountains, near a fresh water source and with farms around would be an ideal location. TL;DR: It depends on what you mean by "all out nuclear war", and whether or not you plan to remain in the same place post-war... but generally speaking, the farther north or south of the equator, the better, with both the north and south poles receiving the lowest exposure over time due to more self-contained wind patterns. Politically speaking, it's really anyone's guess what might happen, so I'd say you have creative free rein on that. As for physically surviving the weapons themselves, consider this: by 1962 (after hundreds of above-ground tests conducted by the US, USSR, UK and France), there was no place on the surface of the Earth where radioactive isotopes from nuclear weapons could not be found, thus prompting the first international treaty to limit testing in 1963, followed by the "SALT" talks in the 1970's. So if you're talking about the "mutually assured destruction" scenario from the time of the Cold War, where literally thousands of nukes would explode on the same day, then the dispersion of radioactive material would be so immense that no place on Earth would be even close to "safe" for many years, possibly even resulting in the fabled "nuclear winter" scenario (nobody really knows for sure). An "all out nuclear war" today would likely involve far fewer, but they are also likely to be far more powerful weapons, thus producing higher local damage with less global fallout. Either way, if any combination of the major nuclear nations today engaged in an "all out nuclear war", it's pretty safe to say that a very large portion of life on Earth would be extinguished within about 6 weeks time, mostly due to the global dispersion of neutron-active isotopes. Of course, due to the enormous number of people on the planet, there would still always be some survivors living in pockets here and there depending on their local geographies and prevailing winds. There are two primary radiation risks. The first is the the instantaneous (speed of light) exposure to the immense energy released by each blast. This is full-spectrum electromagnetic energy, from long-wave, to infrared (heat), all the way through the visible, x-ray, and even gamma rays. The exposure to this would generally have the same devastating impact on all life forms above sea level that are not at least partially protected by very significant barriers like mountain ranges. (Some x-rays and all gamma rays would still pass through mountains, but the lower frequencies will not.) The intensity of exposure will depend on distance. Line of sight exposure drops off at the rate of the inverse square law (at double the distance, one receives one fourth the intensity; at triple the distance, one receives one ninth the intensity, etc.). If a human is exposed to this direct radiation and they survive the blast, they may have severe burns, or extreme dermatitis which may still kill some in the first hours or days. Marine life would be minimally impacted by the initial blasts, affecting only that which is close to the explosion. The other risk is, of course, the fallout. It would affect all surface life that receives it. It would affect marine life as well, with the worst effects in the shallow regions and less so in the deep. There are many factors that affect the amount of radioactive particles that get ejected into the stratosphere, among them the proximity of the detonation to bodies of water and the altitudes at which the individual weapons are detonated. Most of the deadly radioactive isotopes created by a nuclear explosion are very heavy, and would gradually, but slowly, sink into the ocean depths, but losing their effect over time. Radioactive isotopes decay at roughly a rate of a 7:10 ratio between time and intensity (for each 7x increase in the amount of time since the blast, the radioactivity of its fallout decreases by about 10x), but the bigger the blast, the more of those isotopes are floating around in the first place and eventually it all settles on the ground. Most estimates speculate the lethality of any particular bomb's fallout to last on the order of months, but of course, the areas closest to ground zero will receive the greatest volume of fallout and will remain dangerous for a longer period of time. Bottom line: there are such a large number of variables affecting survivability that for your world-building task, a tremendous range of outcomes are plausible, which gives you a lot of wiggle-room to create it the way you want. In order to minimize the overall threat, my advice would be to focus on dry mountainous regions located at latitudes greater than 30 degrees either north or south, with locations on whichever side of the mountain range receives less precipitation. At between 30 & 60 degrees of latitude, the drier side of the mountains would typically be the East side, and at even higher latitudes, the drier side of the mountains would typically be the West side. I'm going to post a bit of a counter-intuitive answer: it's not going to be nearly bad as you might expect. Sure, billions of people will die. But most countries aren't getting bombed. You might have this image of 'missiles flying everywhere', and every major population center getting destroyed... but that's really not realistic. There are only a handful of nations in the world that have nukes. So unless your country has angered one of them to the point where they want to slaughter your people 'just because', you're likely safe from being targeted. After all, just because the US, China, Russia, India, Pakistan, and Korea are all launching nukes at each other, why would any of them be launching a missile, at, say, Peru? Even if you say, "Well, what about Nation XYZ? Their leader is flat-out crazy, and will just want the world to go down in flames." Ok - but how many nukes does their country actually have? Sure, Korea might have a crazy person at the helm, and they might do something silly like bomb Australia or Canada for no real reason... but they're not going to be able to bomb everyone by themselves. Short answer? I think we'd have a pretty substantial climate shift, and a lot of areas of the globe devastated... but we'd also have large portions of the globe where life would continue on. Either Africa, South America or British Columbia in Canada. Africa and South America are both dry spots as far as nuclear armed countries. Of course, the farther south, the better, less chance of radiation. Canada is too close to America to be useful for the most part, but B.C. or Nunavut might be far enough North to manage. Greenland is also a pretty good choice, surprisingly. Australia also has a good chance of surviving, but may get nuked just because its a large enough country. So all and all, the farther south you are the better, since anything in the northern hemisphere is most likely going to be completely destroyed by radiation polluting the trade winds. Greenland may fair better than most countries, but Chili or other countries on the southern tip of south America are the best bet for survival. Contrary to popular conception, there aren't enough nukes to "destroy the world", as in, the surface of all landmass on Earth. There are enough nukes, however, to destroy civilization, or cities. So, in the middle of nowhere, far from major cities, anywhere on Earth, is far enough to survive the bombing. So, the hotspots will be the (former) cities. You won't be able to live there. The next concern is fallout. 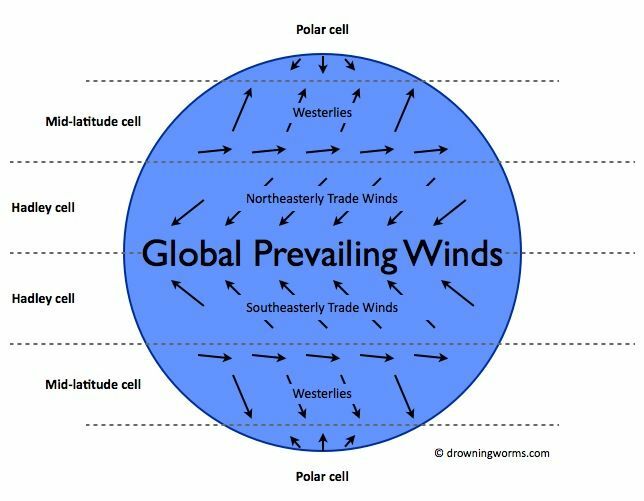 Because of global winds, it will be blown everywhere. However, this isn't a big concern; even with radiation and fallout, life will still thrive: Wolves, eagles, and bison freely roam Chernobyl three decades after the nuclear disaster. You'll still be able to live into your 40s or 50s before the cancer overwhelms you; long enough to see your grandchildren if people start marrying at 15 again. So, just get a good 50 or 70 miles from any major city, and you'll be as fine as anybody else on the planet. All of the nuclear powers and countries possessing nuclear weapons are in the northern hemisphere (US, UK, France, China, Russia, India, Pakistan, NK, Israel). Their main rivals are also in the northern hemisphere. In a large scale nuclear war it would be expected that the nuclear powers would first strike at their enemies and those in military alliances with them. Most of them would still be in the northern hemisphere, some like Australia and New Zealand are in the southern hemisphere and would probably get involved by defense arrangements between them and UK via the Five Powers Defence Arrangements. Also South America is linked to the US with the Rio Pact. From the southern hemisphere only Africa lacks strong ties to any nuclear powers. Why does this matter? From any nuclear bomb most of the radioactivity is anyway deposited near the explosion as larger the particles are the faster they fall to the ground. Only a very small fraction that is in small particles that are lifted very high to atmosphere can travel far. Due to wind patterns this will take weeks to travel along latitudes around the globe and months to spread along longitudes within a hemisphere, but it will take over a year to spread to the other hemisphere (Figure 4-12 in the linked material). 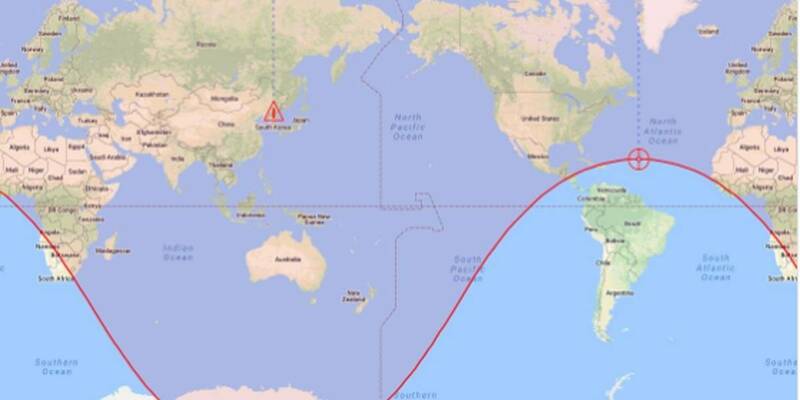 So as most of the bomb will explode in the northern hemisphere be at the southern. From the southern hemisphere Africa is the least likely to get involved. TLDR; Be in southern hemispheric Africa. I'd say Switzerland. It's neutral and has nuclear shelter capability for all its citizens. You want to be as far away from any major city as possible. Even if the city is not targeted, any disruption of food distribution will doom our major cities and just about everyone in them. As soon as everyone knows the hammer is going down, they will head straight to the nearest place where food it stored or sold and loot all they can carry, and come back until the food is all gone or they think they have enough to ride out the storm. Once the looting is done, there will be roving groups looking for stashes of food. Some of these groups will claim some kind of authority, while others will be robbers without pretense, but their modus operandi will be the same: they'll take whatever they can carry off. The police who aren't directly participating in the looting will be overwhelmed and ultimately ineffective. Fire services will cease in short order, so fires will rage unchecked in many places. Hospitals will eventually shut down due to looting and a lack of supply. As food dwindles, the people who survive will remember that lowering the denominator will increase the quotient, so there will be struggles to exclude more and more people from receiving any share of the remaining food. Law and order will have completely broken down in the first week, but it will eventually be restored when there are no longer enough people alive to do any fighting. The two major nuclear powers are the USA and Russia. Other — relatively minor — nuclear powers are the UK and France (US allies as well), China, India, Pakistan, Israel, and North Korea. In an all out nuclear war, all these countries are primary targets. Under NATO's nuclear sharing policy, Belgium, Germany, Italy, Netherlands, and Turkey have American nuclear weapons available as well. It is believed Saudi-Arabia has a similar deal with Pakistan. Other countries may not have nuclear weapons themselves, but may be strong allies to primary targets — NATO comes to mind. Because of this, North America, Europe, and most of Asia will either be direct targets or close enough to targets to make life difficult to say the least. Australia and New Zealand are not NATO members, but are NATO partners and will likely be considered allies of the USA and Europe by the enemies of those, so they may very well be targeted. However, both New Zealand and Australia are sparsely populated. There are a few major cities that will likely be targets, but a lot of almost empty land around them. This sets them apart from other targets. Canada is a NATO member and a such a target, but is like Australia and New Zealand sparsely populated outside the major cities. 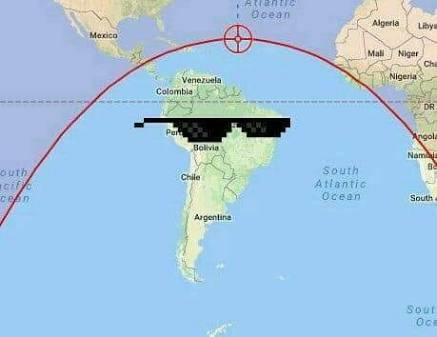 South America nor Africa is a target for any of the nuclear powers, except for the odd army base. But those would probably receive a single hit, not a nuclear barrage. Maritime Southeast Asia (the southeast of Southeast Asia; basically Indonesia and the islands around it) would probably not be a target either. It is quite likely that fallout and nuclear winter will make most of the northern hemisphere uninhabitable. So while Canada may have offered a fair chance of survival initially, the longer term outlook is far worse. The same goes for northern Africa. Not all states (of the ones left) have a stable government. Some are only able to remain in place because of support by one of the countries listed as targets. Then again, you may be able to use the chaos to your advantage. But be aware of it. Southern South America, southern Africa, the Australian outback, or possibly New Zealand. Primary targets will depend on who, where, and why the bombs start flying but if the world's current nuclear powers empty their arsenals nowhere is going to be safe. If you're not a direct target then you will get caught by either the global fallout of highly radioactive particles or the temperature drop caused by the soot from burning cities and vegetation intercepting sunlight. There will be a few years between growing seasons while the atmosphere cleans itself of particulate matter. Most countries have a year or so of food as a strategic reserve, no country on Earth has food reserves for 5 plus years. There will be food riots and starvation anywhere where a reasonable percentage of the population are still breathing. Note that the real radioactive fallout will be worse than any of the models I've ever seen; none of them take into account how many nukes are aimed at nuclear targets, either known enemy weapons facilities or known active reactor sites. Each hit at such a site will vapourise literally tonnes of radioactive material and spread it on the global winds of the upper atmosphere. Not the answer you're looking for? Browse other questions tagged science-based reality-check survival map-making nuclear or ask your own question. Could a nuclear war cause the majority of Earth to be uninhabitable for hundreds or thousands of years?